Visitors to our website are required to agree with the following terms and conditions in consideration for the provision of information by us about Girlings Retirement Rentals Limited (‘Girlings’), its developments and its business. We use our reasonable efforts to include accurate and up to date information on our web pages. The information is for guidance only and is not intended to form any part of any contract, and can be subject to change without notice. We shall not be liable for any direct, indirect, incidental, consequential or cumulative damages or losses arising out of the use or inability to use these pages, any errors, misrepresentations or omissions in the material contained on them. The information on these web pages has been prepared carefully and with reasonable care and is believed by us to be legal, honest, decent and truthful as of the date of its preparation. 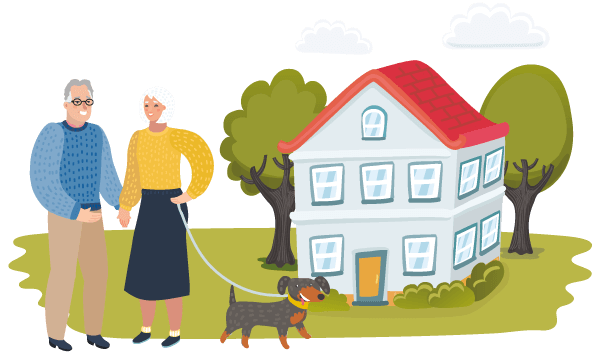 Information on developments and availability of retirement accommodation will change on a daily basis, as do prices and specifications, in the ordinary course of business. Financial Services Act 1986 (as amended). The information contained within these pages is not intended to constitute an advertisement in relation to the sale of securities or investments. The entire contents of these web pages remain our property and are thus copyright with all rights reserved. You may download, or print out individual selections of these web pages for your personal information. No part of this website should be reproduced for wider publication. Your personal information is your personal property and as such we recognise that this places serious responsibilities on us to comply with the relevant provisions of UK data protection legislation. We have therefore published a separate full privacy notice. This site may contain links or references to materials or websites provided by third parties. This does not constitute any form of recommendation, endorsement or publication of third party material or websites. Any complaints relating to third party material or websites should be directed at the relevant third party. You may not link to this website without our prior written consent.